There's never been a better time for entrepreneurs looking for an LMS solution to sell their online courses. If you have an online course or want to create one, you have three options for publishing it: an LMS plugin, an LMS theme, or an LMS platform. In this article, I'll cover LMS plugins to help you decide if they're right for you. Who is an LMS Plugin Right For? An LMS plugin might be right for you if you’re using Wordpress for your site or platform. An LMS plugin will enable you to turn a clean Wordpress install into a course platform. You can publish multiple courses, or just one, and add content for each one—all on your own site. Why Use an LMS Plugin? Single Cost - Instead of paying for a monthly LMS service, you only pay once with a plug-in. Paying once always costs less in the long-run compared to recurring costs. Familiar - Plugins are familiar territory. If you already know Wordpress, chances are you know how plugins work. So using an LMS plugin won't be a big jump. It's a Plugin - Every WordPress user has heard a story of a plugin crashing a site or just not working properly. If that happens while your course is live, it could cost you. Wide Feature Variety - Some LMS plugins are more feature-rich than others, but in general you'll most likely need other plugins to make everything work the way you envision it. You may find yourself still needing a membership plugin, a content protection plugin, a downloads plugin…you get the idea. Created by Derek Halpern from Social Triggers, Zippy Courses is only about a year old, but I see great potential. It's got a wide feature list and prides itself on helping you see important data analytics, like what your learners are working on and what they've skipped. There isn't a demo, so I wasn't able to test it out, but I spent days researching it and reading about other people's experiences. I'm working on taking it for a test drive. Here's a quick 5 minute video walkthrough of what a finished Zippy Course can look like. It's made by an entrepreneur for entrepreneurs. 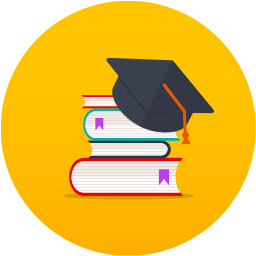 Because of that, Zippy Courses has some pretty sweet features for quick content creation, data analytics and pricing options. Plus, it's only a year old. Something tells me there's so much more to come. Some very successful entrepreneurs swear by LearnDash. It has built in content protection that allows you to restrict unauthorized access, which is not something that every plugin does natively. It also handles almost any integration you need, while providing essential features like quizzes and the ability to drip content. You can try out the demo on their site to get a feel for the functionality. Here's a screenshot of what it looks like. It focuses on learning - If learning features like content and quiz management are important to you, LearnDash is your plugin. While other plugins think about learner motivation and engagement after the fact, LearnDash focuses on this up front. It’s “all-in-one” feature list - Built in content protection, membership options and easy integration, multi-users. Just about anything you could want is built in natively or works as an integration. Created by WooThemes, Sensei has come a long way since it first debuted back in 2013. Honestly, I wasn’t a fan when it first came out. There were a ton of glitches. I remember feeling so bad after I mentioned Sensei to a friend and she bought it…only to take it down after a few months (and several headaches) later. They've come a long way since then. The biggest upside of Sensei is that if you’re using WooCommerce for payment processing, Sensei integrates perfectly. Because of that, Sensei automatically manages your learner’s access after a purchase is made—meaning you won’t have to worry about a membership plugin. Sensei doesn’t natively handle drip content, but there are several add-ons that will give you that functionality. Which brings me to the biggest downside to Sensei: to get all the functionality you need, you’ll have to buy add-ons, which can get pricey. I’m not a fan of this model, but if you’re already using Woo’s ecosystem that may not bother you. How much will an LMS plugin cost you? The three LMS plugins listed above will run from $99 - $299, depending upon how many licenses you need. Right now two of them are on sale, so be sure to check them out. If you need a cost-effective way to get your course up and running, a plugin is a great option. Still, I'll admit I have reservations about recommending LMS plugins for two reasons. The learning curve associated with learning a new plugin varies. Be sure to find one easy to use or you may spend more time learning it than using it. There can be a lot of moving parts. If you need multiple plugins to get your course running, it can get unwieldy and pricey. Stay tuned for my thoughts and research on LMS themes and SAAS platforms to learn why I prefer them to plugins. What are your experiences with LMS plugins? If there's a specific one you're considering, why do you like it? Older PostDoes Your Online Course Fit Your Business?